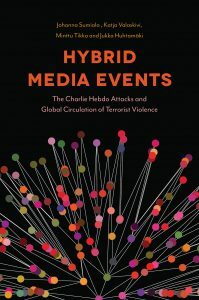 HYTE research consortium develops innovative research model for the theoretical, methodological and empirical study of global hybrid media events of terrorist violence. The multidisciplinary research project brings together media and communication studies, computational social sciences and international politics and security studies into a fruitful scholarly dialogue with each other. The consortium combines quantitative and qualitative research methods to analyse different types of media data, interviews and fieldwork material. HYTE establishes an international research network that produces new knowledge on hybrid terrorizing and creates a new platform for dialogue between academics, experts and policy makers. Research consortium: HYTE is directed by Research Director, Docent Katja Valaskivi, University of Tampere (COMET). 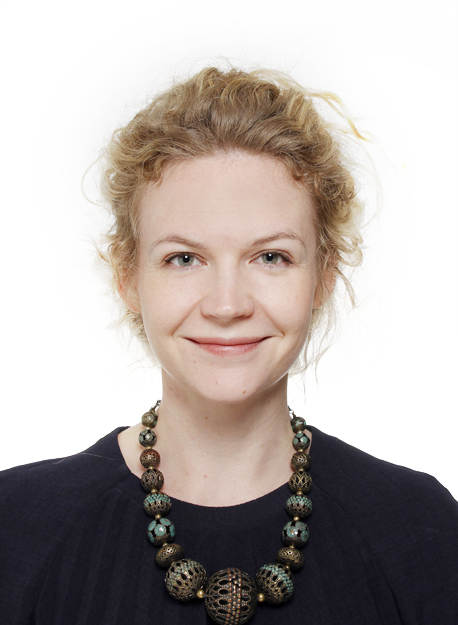 The subproject leaders are Docent Johanna Sumiala, University of Helsinki, Faculty of Social Sciences, media and communication research, and Professor Aki-Mauri Huhtinen, National Defense University, Department of Leadership and Military Pedagogy. Mediatized crises: Civilian surge of disaster communication practices on social media (2017-2018). The emergence of digital media has intensified and altered the interrelationships between media and crises in today’s global media environment. Media and related communicative practices shape crises and disasters both inside out and outside in, as media plays increasingly performative and constitutive roles in them. The interplay and antagonism of new actors and related forms of action and interaction have thus emerged. Consequently, novel forms of exercising power have developed, altering the structural impacts and social significance of crises. The civilian surge in disaster communication has emerged from this mediatized condition. Digital connectiveness allows ordinary people to mobilize and have a profound impact on crises themselves, in terms of their organization, development, outcomes, and social implications. This PhD dissertation aims to study ordinary people’s media practices that emerge in disasters in order to produce novel and nuanced understanding of the roles, connections, and actions of ordinary people in today’s mediatized condition of crises and disasters. This research is funded by Kone Foundation Bold Initiatives. In January 2015 a terror attack to the headquarters of Charlie Hebdo, a satirical weekly magazine in Paris, activated a symbolic battle and a struggle over attention in the transnational media. The symbolic battle was fought over the values of the freedom of expression and religious sensitivity. This project examines how this event was created, experienced and circulated in a multiple media platforms, and how it united and/or polarized different kinds of imagined communities emerging around those symbolic battles. The project applies theoretical framework of a disruptive media event and combines digital ethnography and social network analysis for collecting and analyzing the events in the media. (COMET) and is funded by the Helsingin Sanomat Foundation. Youth Street Politics in the Media Age: Helsinki and London Compared (2012-2014). The aim of the ‘Youth Street Politics in the Media Age’ project is to study the construction of youth-related social problems in contemporary societies where the media plays an increasing role in constructing and maintaining social and spatial reality. This interdisciplinary project examines how public narratives – classically called as “moral panics” – over suburban youth in Helsinki and London are constructed in the media and how the youth themselves use urban space – the ‘street’ – to confirm and/or subvert these media representations. The project will also explore how the street is used to give voice to the experiences of social and spatial inequality in a broader sense, and how what we call ‘youth street politics’ – more or less organised youth action – is used to challenge these experiences. Researchers: Titus Hjelm (UCL), Minttu Tikka (University of Helsinki), Leena Suurpää (The Finnish Youth Research Society), Johanna Sumiala (University of Helsinki) in cooperation with the Tampere University of Applied Sciences, The British Council, and The Finnish Institute in London. I-Witnessing: Global Crisis Reporting Through the Amateur Lens (2011-2012). This international comparative research project examines how major news organizations and their audiences are responding to the growing availability of user-generated content (with special reference to citizen produced imagery) in Finland, Sweden and the UK. This project’s focus on citizen contributions to news reporting, in particular crisis reporting, offers a distinctive vantage point to examine key aspects of the changing media environment (e.g. “participatory media culture”, “crisis of journalism”). Charlie Bit My Finger! What the News Media Can Learn from YouTube? research project (2010-2011) aims at offering new knowledge about the use of visual communication media and how YouTube establishes communality and a sense of belonging in today’s media-saturated society. The project is carried out by the Communication Research Centre at the Department of Communication, University of Helsinki. The project is funded by Helsingin Sanomat Foundation. 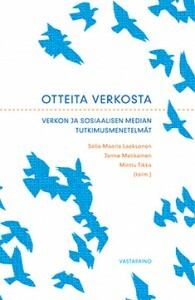 The Role of the Finnish Red Cross in the Organization and Communication of an Acute Crisis research project (2010). The main focus is on the crisis communication of the Finnish Red Cross and its operations as an organizer in an acute crisis. The project on the Finnish Red Cross is closely related to the Crisis and Communication Research Project, where the co-operation of the local and regional authorities and the voluntary rescue service has emerged as an essential section of the study. The previous study have shown that in the Asian tsunami, school shootings of Jokela and Kauhajoki and Nokia water crisis the roles and the responsibilities of the authorities and the voluntary rescue service are confused. The operations of the Finnish Red Cross are directed by law. This makes the role of the Finnish Red Cross different from the roles of other voluntary agencies. The project is funded by the Finnish Red Cross and carried out by the Communication Research Centre at the Department of Social Research. Crisis and Communication: A Comparative Study research project (2007-2009) was carried out by the Communication Research Centre at the Department of Communication, the University of Helsinki. The aim of the project was to analyse the social and cultural implications of different types of crises from Nokia town water crisis to the Jokela and Kauhajoki school shooting. The project was funded funded by Helsingin Sanomat Foundation.